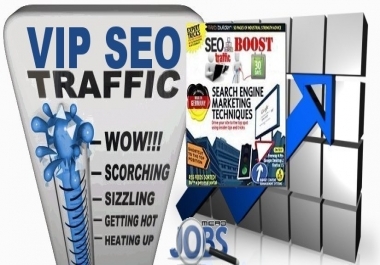 This is an Exclusive Premium Organic & Referral Traffic Service! We will send 5.000 organic search engine visitors and/or referrals of your choice to your site for SEO and to improve your SERPs and Ranking! Don´t wait, boost your Keywords and Ranking today! ► Real Targeted Category/Niche Traffic from any site of your choice. 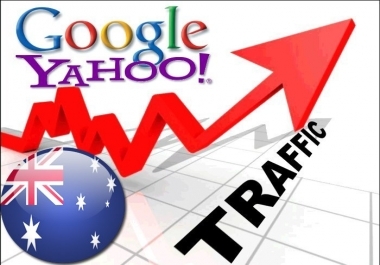 ► Real Organic Traffic from AOL, Ask, Baidu, Bing, Goo, Google, Lycos, Naver, Onet, Rambler, Sogou, Yahoo, Yandex. ► You may choose max. 15 different sites or search engines in total. 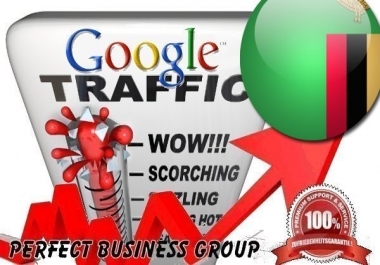 ► We will we sent through goo.gl or bit.ly, to provide you with the traffic results. You can also see the traffic in your Analytics (Sins webmaster tools have to be connected, can you see the traffic live, but not on webmaster tools). ► All traffic will be delivered within the deadline of our offer. See the time frame above. ► If i choose traffic from a competitor, can he see that i steal the traffic from him ? ► No, he can´t see it directly. But on Alexa can he see, that visitors uses your site beside his. The Team of Perfect Business Group (Microjobs) has developed a new technology that allows us to provide you with "organic traffic", "referral traffic", and "controlled traffic flow". We use a completely legitimate process in order to get you real organic search engine and referral traffic. There is no risk of getting your Page banned or penalized by the chosen search engine. We have tested our method with several websites, and our technique has a 100% credibility for any traffic metering tools. Our service is a compelling, perfect "White Hat SEO" Tool. Having a constant in organic traffic is imperative in order to maintain your rankings and minimize the risk of dropping in the SERPs. This will raise your website´s credibility on search engines.